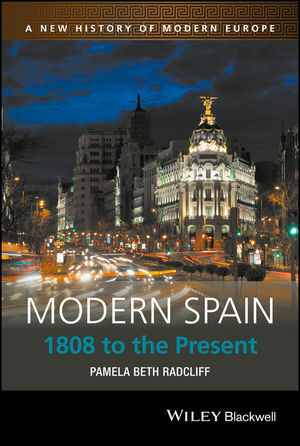 Modern Spain: 1808 to the Present is a comprehensive overview of Spanish history from the Napoleonic era to the present day. Pamela Beth Radcliff is Professor of History at the University of California, San Diego. She is the author of From Mobilization to Civil War: The Politics of Polarization in the Spanish City of Gijon, 1900-1937 (1996), Making Democratic Citizens in Spain: Civil Society and the Popular Origins of the Transition, 1960-1978 (2011)and co-editor of Constructing Spanish Womanhood: Female Identity in Modern Spain (1999).